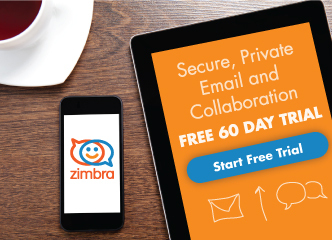 Patch 10 is here for the Zimbra 8.7.11 GA release, and it includes fixes as listed in the release notes. Please refer to the release notes for 8.7.11 Patch 10 installation. WARNING: This patch breaks mailboxd, I had to recover from backup. Hi — Did you open a case with Zimbra Support? We haven’t had any other reports that the patch breaks mailboxd. No, I don’t have a Support subscription (only private use for friends and family). Also I did not have the time to further investigate before the restore. Only thing I can tell is, mailboxd was running (also restarted without complaint), but did not accept any connection attempts, nor try to connect on its own. I am running Zimbra OSE for eight years now, never had any serious issues. I guess I have to retry this one and plan for a longer maintenance window this time. Hi Martin – if you don’t have a Support subscription, please try asking in forums.zimbra.com. Thanks! Could you please let me know the patch where I can download? Hi Peter – the patch download link is in the blog. There is a separate link for Network Edition and Open Source Edition. Please let me know if you need further help. Thanks!